Now that springtime is FINALLY here (for a while there I thought winter would never end), its time for fun light salads that are easy to make and fill you up after a run, or in my case, a challenging yoga class. 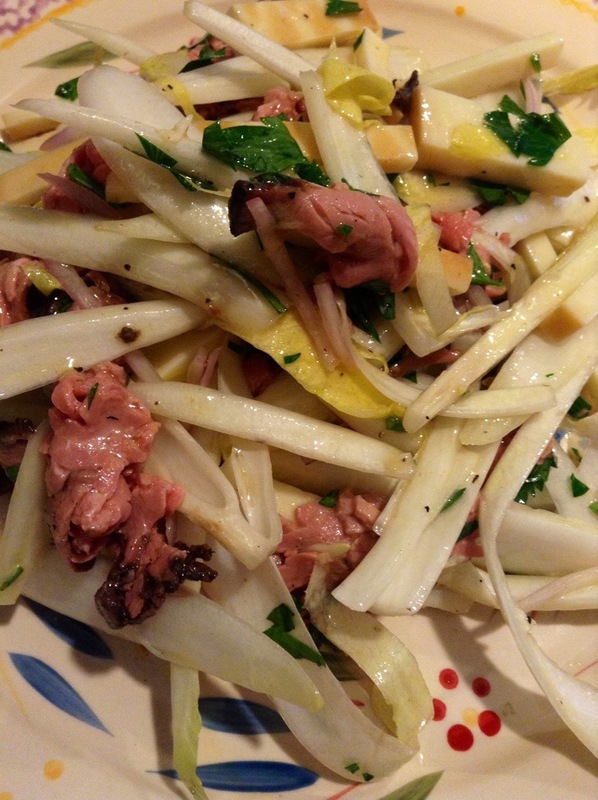 Endive is a great lettuce, totally under-utilized if you ask me, so I was thrilled when I saw a recipe for an endive salad on Food Network, so I just tweaked it a little and made it a simpler lighter salad. Thinly slice the shallot and place in a bowl of cold water and let sit while you prepare the other ingredients. 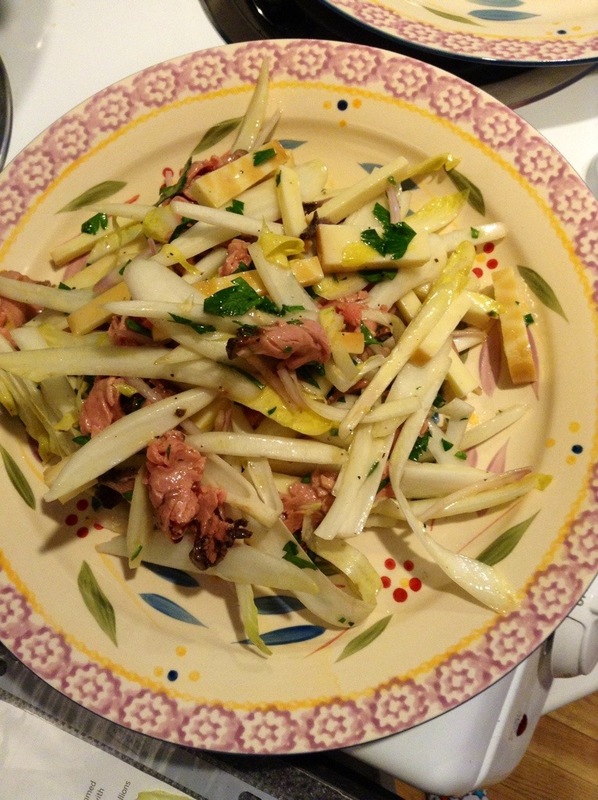 Slice the endive and cheese and rough chop the roast beef. Place in a large bowl then prepare the dressing. Whisk the shallot, some chopped parsley, olive oil, red wine vinegar, dijon, and salt and pepper to taste in a bowl. Dressing will be a bit chunky with the parsley and shallot, but I think it’s richer this way. Toss dressing with the salad and serve. A simple springtime salad that can be enjoyed in a rolling field or a park bench in between work or classes. Happy spring everyone!